I’m hungry this month. Hungry for so much. I don’t know why I feel this way. Maybe it’s the fickle weather, the 60-degree days followed by freezing rain and sweaters. The lightness outside, dinners with sunlight coming in through the windows instead of shrouded in darkness. The reappearance of birds and squirrels and buds on the trees when we walk to school. Maybe it’s the sprouting of my boys. Another school year speeding towards its close — 4th quarter beginning already. Another pair of ankles peeping out from the bottom of the pants that were too big in September. Toes trying to pop through the fronts of well-worn sneakers. Teeth practically leaping out of L.’s mouth as his molars start to take their leave, bringing the last of the grown-up teeth in their wake. Orthodontia. Mood swings. Growing pains that keep little P. from sleeping, who is not so little anymore. Lanky legs. Hands that are suddenly bigger than mine. Hair that grows too fast, opinions about clothes and styles, a favorite clothing store outgrown for good. It might be the slow process of sorting out summer plans. What was easy last year (sign up for the same camps they’ve always enjoyed, throw in a new idea or two, make sure there’s a buddy for the bus) is now complex and challenging, but moreover interesting, as it’s a glimpse into who they are becoming. Working out how to manage an intense orchestra camp for L., the budding musician. Watching P.’s eyes light up at the prospect of an engineering program. Would P. like to learn to sail at marine biology camp? Would L. prefer musical theatre or improv? Is there still room for nature camp? And suddenly one feels too old for the beloved weeks at the zoo, while the other is still growing into them. Maybe it’s the freedom. Nearly 2 years gone now, self-employed. It still feels new. But it’s also routine, my hours glued to a desk in a physical office building remote and part of the fabric of a past I recall but barely recognize. I feel like I did so much back then, but none of it was mine, so it never seemed real. I do things now. I mean things. I own things. I support my family and myself with real, meaningful work and I have projects on the side because I want to, and I can, and it’s valuable to me. I plan not for a future, but for a life I’m already living. Things stretch out before me and there are hard days, but there’s contentment. Still, I want more. I’m greedy. Hours pass quickly these days, and I don’t have time for many things. I steal minutes to catch up on the laundry, I try to remember to sign the permission forms, I juggle commitments. I try to take time to notice the blue of the sky and laugh at the dog’s silly, jubilant expression when I walk down the block to pick the boys up after school. I wonder if I’m pushing myself hard enough to be as good as I can be, to do as much as I can do. I wonder if I am pushing too hard and should slow down. I soak up kisses from young eager faces, hands that still slip into mine, nights at the symphony together, evenings reading chapter books side-by-side in bed. Plans for family vacations, hearing the latest song learned at school, family cuddle time with the pup at the center of it all, hands reaching to rub his upturned belly. Voices around the dinner table. Squabbles, spilled drinks, bad jokes, great jokes. Boys who sometimes pop into the kitchen to cook with me and who can do so much more now than they could a year ago. New foods accepted. Meals wolfed down as growth spurts expand appetites. Harry Potter trivia cards scattered next to plates, spells chanted, forks made into wands. How could I not be hungry for this, for more, even if it’s more of the same? 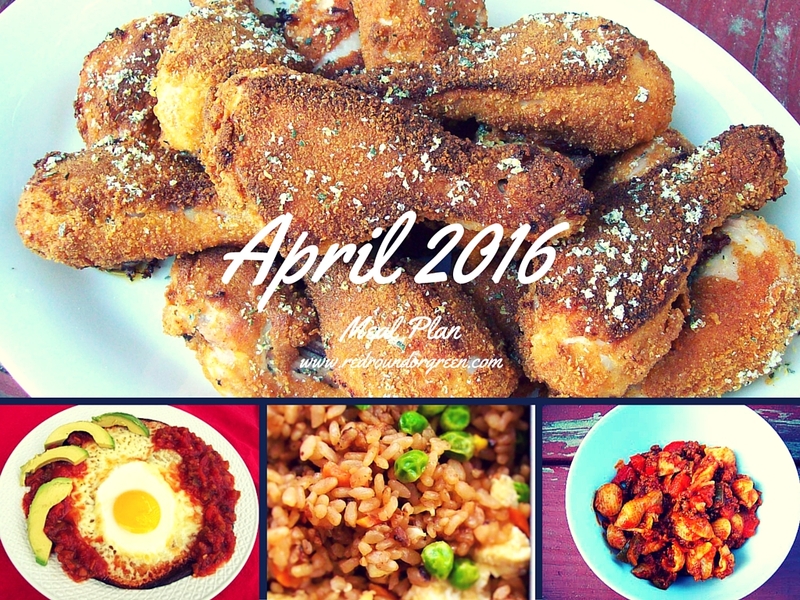 As predicted…after last month’s slump, this month the planning was a joy. What’s on the table and what happens around the table are the anchors of our days. It all matters. Wednesday, 4/20-Friday, 4/22: Taking some family time for Spring Break — no planning! Thursday, 4/28: I’ll be at Listen to Your Mother: Providence! Leaving the guys to figure it out for themselves.